Three graduates from the Engineering Maths degree programme have recently embarked on a new business venture. The trio from the 2017 MEng cohort have spent the summer starting up a data science consultancy. Their mission: To help organisations fulfil their potential through data driven decisions. Charlie Bickerton, Alex Ogilvie and William Worrall’s inspiration for their business, Miminal Limited, developed over the last two years of their degrees. “Working on numerous Maths & Data Modelling Projects and Final Year Projects directly related to industry made us realise how much of a need there is for the skills we have learnt during our degrees” said Alex. “Owning a business has always been an ambition of mine and when we saw the number of organisations coming to university with potential projects, we saw there was an opportunity” added Will. “Developing software containing these techniques is important for many organisations but isn’t very widely offered” said Will. “We value our client’s satisfaction above all else and can deliver our services in whatever form suits them most”. 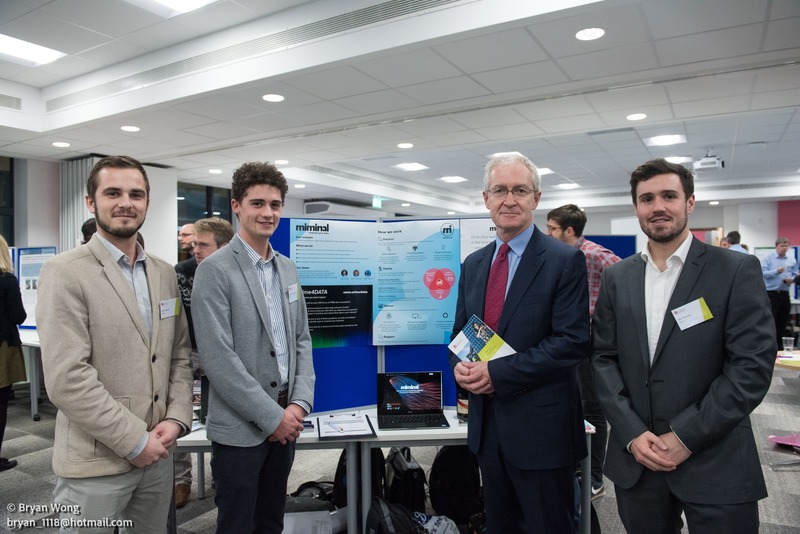 Having recently had their official launch at the Engineering Research Showcase in the new Queens Wing, Miminal are keen to relocate their business back to Bristol as soon as possible and continue expanding their network in Bristol and the skills they developed at university. Learn more about what Miminal can offer at https://mimin.al/ or contact the team at info@mimin.al.